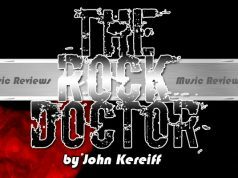 Music Reviews by the Rock Doctor Sept 25th, 2017 - Gonzo Okanagan Online News, Music, Technology, Sports, Film, Arts & Entertainment, Culture, Wine & Dine... Life! Trevor Sewell is a well travelled session musician from the U.K. that decided, years ago, to step out from the shadow of others and make a go of it under his own name. 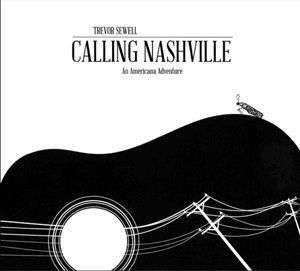 Calling Nashville appears to be his 9th album, and it’s a gorgeous piece of work. Nashville is a combination of blues, bluegrass and Americana, fueled by ancient rhythms as well as rock & roll; and that’s just the first song (Some Day)! Though a U.K. musician, Trevor’s latest album was recorded and produced by George Wilbourn at Sound Emporium Studios in Nashville. Aside from his band guests include Janis Ian on piano and vocals, Tracy Nelson, Paul Barrere and more. “I’ve been a big fan of Trevor’s work ever since hearing his Hollow album” Ian (remember At Seventeen?) says of his first album “…so meeting him earlier this year was a real treat. I offered to play on his next record, but wasn’t sure if he’d take me up on it- fortunately he did.” She plays piano on Shadows, Fade To Grey and Long Time Ago, pitches in some backup vocals, and duets with Sewell on Fade To Grey. Calling Nashville: An Americana Adventure is surprisingly hard to pin down genre-wise. I’m not feeling much country here but there is some terrific blues ‘n’ jazz attitude and playing in these tracks. Sewell’s voice has a broken in, weathered feel to it, and his guitar playing shows a deft touch with an uncommon melodic feel. Though this is a new album, the songs feel lived in. Perhaps it’s the musical forms he chooses to express himself, but on this disc Trevor Sewell is singing and playing songs you’ve been feeling your whole life, whether you know it or not. Throwing Calling Nashville on is like listening to a new Mark Knopfler album; you’ll be thinking “Hey, not bad” straight off but before you know it, this disc will be indispensible listening. This is the latest CD from the San Francisco Bay area slide guitar master- a work of uncommon depth and soul, full of great stories and magnificent playing. It’s a combination of roots, blues, Latin rock and folk rhythms that will melt your heart. “I wanted to make a diverse album with great rhythms, lyrics and improvisation” says Dennis, and by God he succeeded. Backed by his band which includes drummer Tim Metz, Jonathon Stoyanoff on bass and keyboards by Craig Long, Rhythmland was recorded at Paradise Studios in Sacramento and produced by Johnson and Long. It is urgent and relaxed at the same time, with the feeling that every note is exactly where it needs to be, and the guitar tones are unique and perfect. 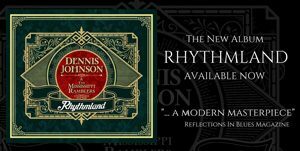 Rhythmland starts off with a spirited remake of the classic Walkin’ Blues, but the other 9 cuts are Dennis Johnson compositions. “(with this record), once the grooves were in place, the lyrics came easily” Dennis says. 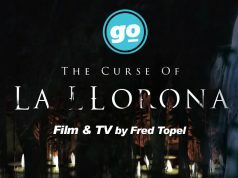 “I’m really happy with the lyrics… (they’re) based on life experiences and delve into important guiding principles to help you get through the ups and downs of life.” Couple that with great playing- Johnson’s supple guitar work in particular- and you have one of the best albums of the year in ANY genre. This is Jordana Talsky’s 2nd album, a jazzy disc with a distinct sound that combines acapella with full band tracks while weaving in intricate vocal harmonies, vocal percussion and quirky textures for a compelling total sound. I wouldn’t compare her to, but would put Jordana in the same league as, Sade. Talsky was once an opera singer, a musical theatre performer and even a member of a funk band, so she has many influences to draw from on Neither Of Either. She was a finalist in the John Lennon Songwriting competition, a semi-finalist in the Sarah Vaughan International Vocal Competition and runner-up for the Julian Award Of Excellence for Emerging Canadian Artists and Toronto Independent Music Awards for vocal jazz; all of which goes to say she has chops galore. Other pop vocalists she considers influential include Fiona Apple, Dido, Feist and Alanis Morissette. I listened to Neither Of Either all the way through before digging up the above info, and what struck me most was how this set of songs made me feel. Exquisitely and spaciously produced by Juno Award winner Julian Abedin, these 11 songs have a relaxed confidence that just feels really good, really positive. “She understands the value in the craft of songwriting and brings a fresh approach to her style” Abedin says, and the results speak for themselves. Also included is a really different take of Alanis’s You Oughta Know, including a ‘clean’ and ‘album’ version too. A close encounter with this set will leave you feeling pensive and yet curiously refreshed. I’m having a tough “what does it all mean” kind of week, and Neither of Either is just what I needed to hear at this moment. Finely crafted songs deftly produced and performed… this is good soul medicine. This is a sibling duo from the banks of the Mississippi River that combines traditional country and southern rock in fresh new ways, making Hundred Proof a decidedly country flavored brew. 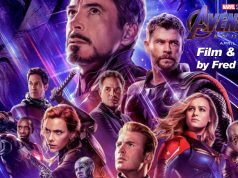 The result is 10 stories that feel as true as if you lived ‘em yourself. 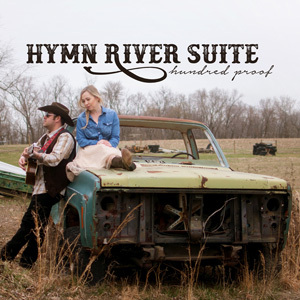 Justin Mathenia (who used to be a .50 caliber tail-gunner in Iraq) and Amy Snyder (whose husband was deployed in Afghanistan) seamlessly trade off lead vocals, and they meet in the middle to create beautiful, honest harmonies. “We wanted songs on this record to really showcase who we are as musicians and artists” says Amy, and a run through Hundred Proof will leave you feeling that you know who they are, both as artists and as people. Although Hundred Proof purports to be a combination of Southern Rock and country, it feels more like a country record with some rock & roll running gear. Bed Of Leaves is a straight up rocker, no question, but I’m hearing and feeling more country in these grooves overall… not that there’s anything wrong with that! Ultimately what makes Hundred Proof work is great songwriting supported by solid musical performances and the wonderful blend of Amy’s and Justin’s voices. Yeah- I’ll definitely be spinning this again. What a wonderful album! More soul and R&B than straight up blues Waiting For The Train, with Johnny’s husky Otis-esque voice, is a sure crowd pleaser. Train features 6 originals (5 co-written by Rawls and one by label mate James Armstrong) alongside songs previously recorded by the likes of Wilson Pickett, Bob Dylan, Tyrone Davis and Syl Johnson. Production by multi-Grammy award winner Jim Gaines is very ‘uptown’, which suits these tracks perfectly. Born in the southern Mississippi town of Columbia, Johnny Rawls (while still in high school) was already backing stars like ZZ Hill, Little Johnny Taylor, Joe Tex and The Sweet Inspirations. 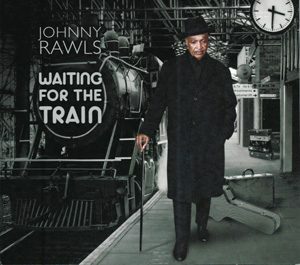 Rawls has won Blues Music Awards in the past and had several of his records nominated before, and I see no reason why lightning won’t strike again with Waiting For The Train. This disc is indeed soul and R&B with a decidedly blue color and a jazz sophistication, particularly on the title cut. Johnny has a terrific band behind him and together they make single, musically fearless organism. Aside from Rawls at the mic we have Johnny McGhee on guitar, Bob Trenchard on bass, Rich Puga on drums, Dan Ferguson on keys, Andy Roman on sax, Mike Middleton on trumpet, Nick Flood on baritone and tenor sax, and Joel Chavarria on trombone. It’s likely you don’t recognize those names but make no mistake; together they make a groovy, joy-filled noise. No rough edges on Waiting For The Train really, every note is exactly where it should be- some of the horn charts even remind me a bit of James Brown. Cool tunes and great performances from all involved make this an awesome set.